This topic contains 14 replies, has 3 voices, and was last updated by towhid 3 years, 12 months ago. I would it be possible if I'll have an option to upgrade Buyers to be able to sell as well? If so, can you teach me how? After signing up as a customer they can become a seller. 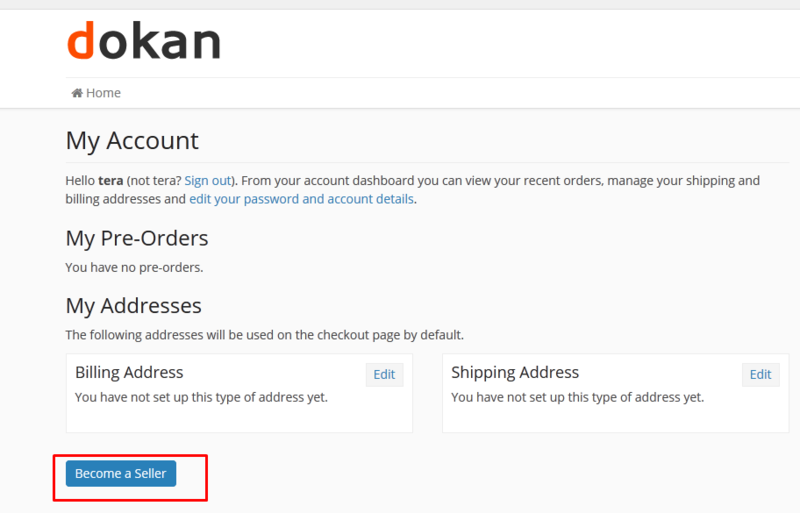 In their my account page there is a button available to become a seller. Thanks for the reply. after clicking that button, they'll see the subscriptions available to sellers also? Another question, is it possible to have a membership fee for buyers as well? If there is subscription available then after registering as seller he/she will get the pack to purchase in his dashboard. Regarding when signing up as buyer, is it possible to have a membership fee for buyers as well? You can create subscription for the seller with the product limit. If your seller purchase a sub pack then they will be able to upload product with the limitation of sub pack. After the expiration of the pack they have to purchase a new pack to sell. Make sure you have enabled “Enable Registration on the “Checkout” page”. To get enable please navigate to `WooCommerce->Settings->(Click) Accounts Tab->(Check) Enable registration on the “My Account” page and let me know the result. Please open woocommerce/myaccount/form-login.php and in that file, find this line if ( get_option('woocommerce_enable_myaccount_registration') == 'yes' && get_option( 'users_can_register' ) == '1' ) :. From this line the registration process has begin. I am not clear what you are talking about regarding that registration page. May be there are misunderstanding both of us. I can see the registration page are showing correctly. Is there “I am a seller” is not working? The topic ‘Buyer as Seller’ is closed to new replies.